The SevenVentures Pitch Day is our signature event. According to Forbes magazine it ranks as one of the major start-up competitions worldwide. On the 8th SevenVentures Pitch Day we are searching for B2C growth companies with a unique digital or physical product looking to become a world-leading brand. 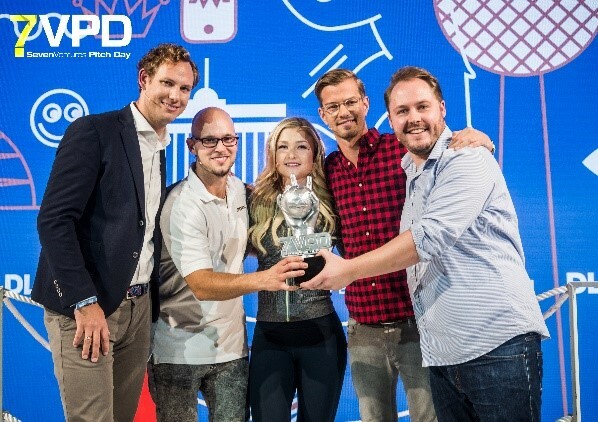 2018 the 7VPD took place at the DMEXCO conference in Cologne on September 12th, 2018, the place to be for the world’s top brands. Go from Start-up to Brand! Michael Stich is a entrepreneur, founder and a former professional tennis player. Astrid Teckentrup has been managing director of P&G sales in Germany, Austria and Switzerland, one of the largest markets for P&G worldwide, since 2015. On a global level, she is responsible for a major global customer. Dr. Jens Pippig. Jens is Co-CEO of SevenVentures and Founder & Managing Director of the ProSiebenSat.1 Accelerator (awarded"Best Accelerator" in 2017 and 2018 by CAPITAL). Before that, he was leading ProSiebenSat.1 Group‘s strategy department. Prior to that, Jens spent eight years at McKinsey & Company in Berlin and specialized in e-commerce,private equity, and retail. He also founded two successful companies (Potentialpark and Entrypark) in the field of market research and employer branding in Sweden. Jens studied economics at Witten/Herdecke University where he obtained his PhD. He also studied business administration and economics in Stockholm and at Harvard. Florian Pauthner. Florian is Managing Director of SevenVentures and previously enjoyed a longstanding career as an investment expert as former SevenVentures’ CFO, in M&A for one of the biggest financial institutions in Northern Europe and at a leading management consultancy. 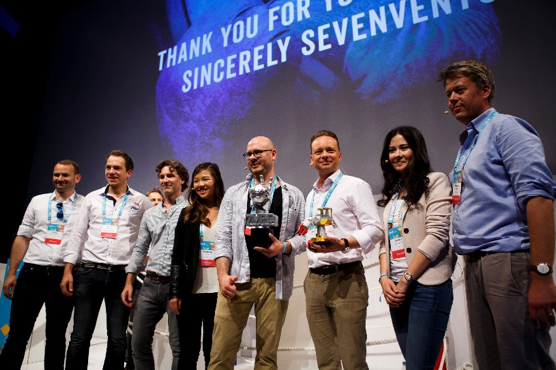 HAFERVOLL is this year’s winning SevenVentures Pitch Day startup. The Cologne-based startup, which produces handmade muesli bars without the use of any additives, beat the stiff international competition at the DLD Berlin and snapped up a lucrative media package worth millions. This year’s panel of experts included TV presenter and start-up investor Joko Winterscheidt and SevenVentures CEO Florian Pauthner. Accompanying presenter Steven Gätjen through the programme and advising the finalists was the leading German lifestyle influencer Sophia Thiel. Every year since 2012, young, high-growth companies are invited to compete for the much sought-after prize in the form of a unique media package. This year, the 7VPD is taking place at the DLD New York conference May 11th), one of the world’s best networking conferences – with proven business leaders and international press attending. The 7VPD came back home to Munich. We would like to thank all six start-ups, the honorable jury, the entire DLD team, the DLDsummer audience and all other team members that helped us to create this breathtaking event. 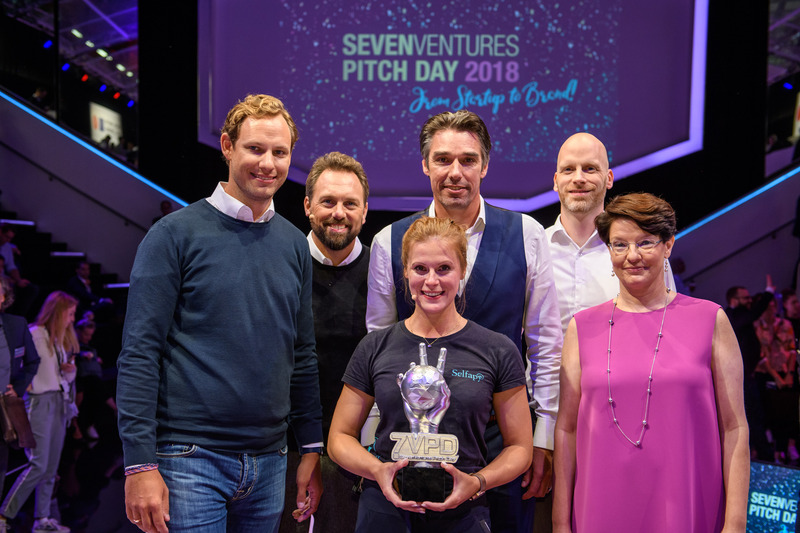 The Austrian branch of SevenVentures is proud to present their own SevenVentures Pitch Day, which is being organized once every quarter. Austrian Start-Ups have the chance to pitch their idea in front of a hand selected audience as well as an expert jury. Ultimately the jury will choose a winner, after the start-up survived a 10 min Q&A session with them. 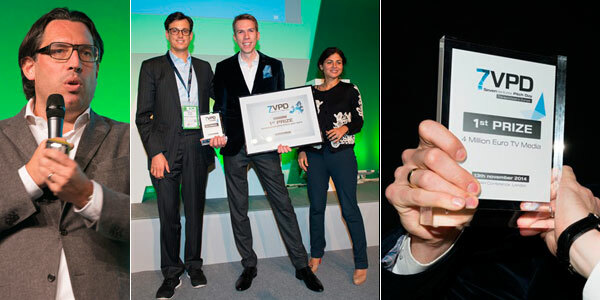 The victorious start-up will win a 25.000 EUR TV-Media prize.